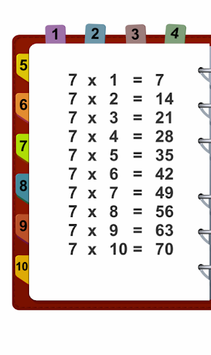 Multiplication table: fast math tables to 100: Simple and easy to use. This is great app to learn maths: multiplication tables. With this simple app you'll just pick a number from 1 to 10 and you'll get its corresponding multiplication table so that you can memoriza all multiplications. The application is simple and only has the basic number selection functionality to quickly and efficiently use math tables.